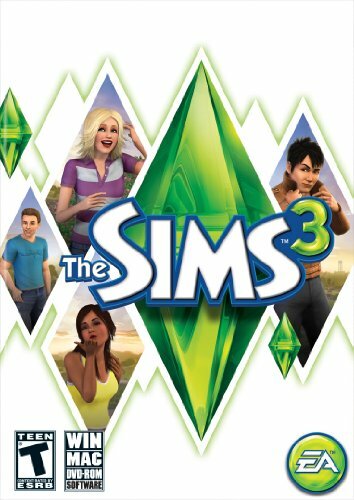 The Sims 3 is the third major title in the life simulation video game developed by The Sims Studio (Maxis) and published by Electronic Arts. It is the sequel to the best-selling computer game, The Sims 2. It was first released on June 2, 2009 simultaneously for OS X and Microsoft Windows � both versions on the same disc. The Sims 3 was released to game consoles and smartphones on October 26, 2010,... See more for PlayStation 3, Wii, Xbox 360, Android, iOS, and Nintendo DS. The Windows Phone version was made available on the Windows Phone Store on October 15, 2010. A Nintendo 3DS version, released on March 27, 2011, was one of its launch titles. It has also been released for mobile phone platforms, and a simpler version for mobiles with Java. The Sims 3 was a commercial success, selling 1.4 million copies in its first week. Critics issued mostly positive reviews. The Sims 3 gained an 86/100 score from aggregator Metacritic. The game has sold over ten million copies worldwide since its 2009 release, making it one of the best-selling PC games of all time.